Sai Dharam Tej has been having a tough time in his career with his last six releases failing to do well at the box office. His new film, Chitralahari is set for release this Friday and the actor is keeping his fingers crossed for a much-needed success. "I agree that success has eluded me in recent times and I take the responsibility for my failures. Yes, there have been films which I now feel weren’t the right ones to do. But whatever film I take up, I have worked with a positive mindset, given my best, and always made it a point to work hard. I now look forward to a successful run and hopefully, Chitralahari will change my fortunes for good," says Tej. The actor, however, is confident that he won't make such mistakes again. "After delivering six duds in a row, my approach towards script selection has changed. I have realised that an actor should not give in if the script doesn't please him. I have mustered the courage to say no to a filmmaker and wait for something that will excite me. I have a lot more patience now, and I think the failures have made me a more mature person. It’s all been a learning experience; I have no regrets," he says. 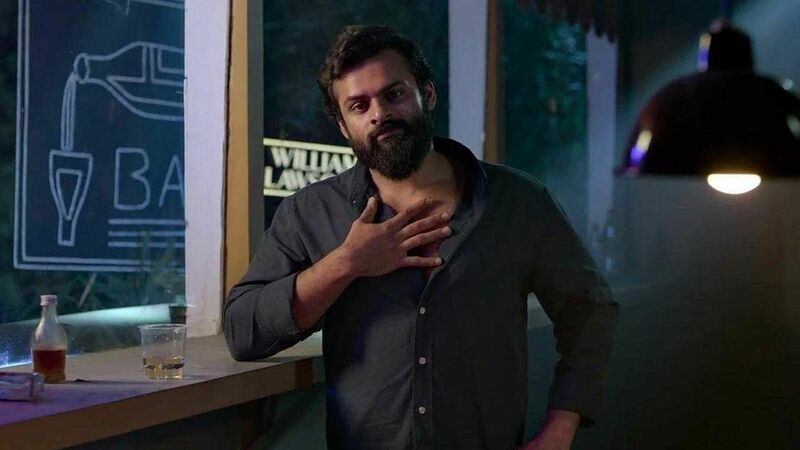 In Chitralahari, Tej will be seen as Vijay Krishna, a software engineer, who, thanks to consistent bad luck and lack of success in his ventures, develops a pessimistic attitude to life. "I feel the audience enjoys watching me on screen because they can relate to me. I think everyone will go through some hard times at some point in their lives," he explains. The Winner actor was amazed by the way youngsters interpreted the film’s story on social media platforms. "It came to my notice that some people, especially youth, are finding similarities in my character to their own lives, and are calling the film 'a biopic of an unsuccessful man' on social media. I can confidently say that the feel-good factor in the story will impart a beautiful message to all." "My credo is simple. I’m here in the industry to do my job with determination." On his association with comedian Sunil, who plays a pivotal role in the film, he says, "My wish to work with Sunil anna has been fulfilled with Chitralahari. I have been a big admirer of his comedic timing in films like Nuvve Kavali, Nuvvu Nenu, etc. By the time I started off my journey in the industry, he was a hero. His character offers loads of comedy and his dialogues will genuinely make you burst into laughter. Off screen, he treated me like his own brother." Last week, the lyrical video of Parugu Parugu from Chitralahari was unveiled and Tej's fans were quick to notice that he has changed his name to Sai Tej. Ask him about the reason for the name change, and the Intelligent actor clarifies, "I haven't dropped Dharam from my name. You can still call me Sai Dharam Tej. But we have decided to use it that way in the credits for the lyrical video. There is no superstition or sentiment attached to this decision." About getting stereotyped as an actor who prefers action and serious roles, he says, "I’m choosing the roles that come my way. I can definitely play a lover boy or a college goer, but the directors or writers only pitched action roles. I want to bring to life whatever characters I play, and if I come across a love story, I will definitely do it in the near future."